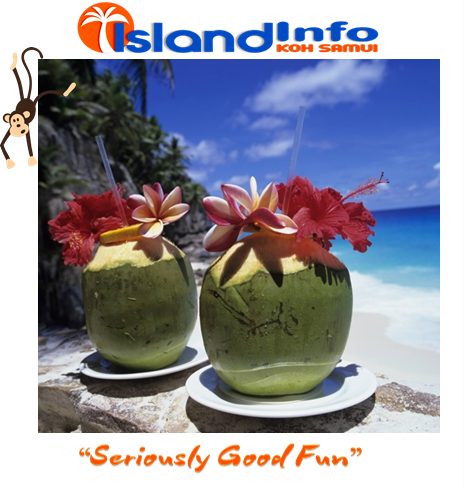 Koh Samui, Thailand’s third-largest island, is blessed with remarkable natural beauty, from the stunning coastline, warm tropical water and sandy beaches to the mountainous tropical rain-forest hinterland. Both were, and still are, the major source of income and food for many local Thai’s. 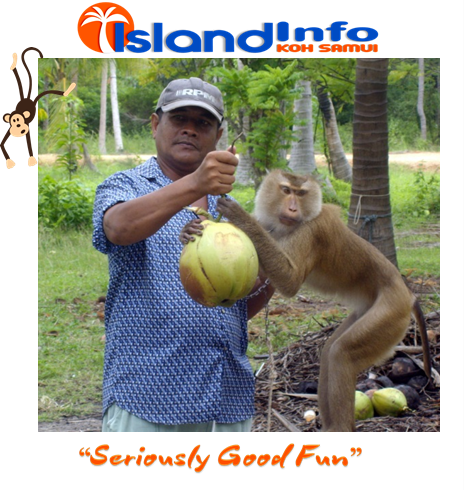 The surrounding clear and clean waters are home to local fishermen while the coconut tree hinterland is home for the coconut farmers. 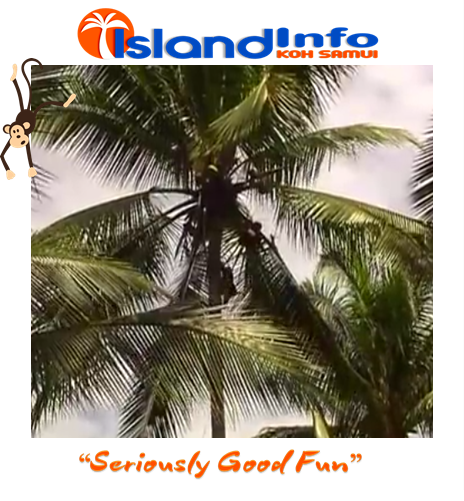 It is no surprise to learn that Koh Samui is fondly known as “Coconut Island” by many of these local Thai’s and longer term resident “Farangs”. 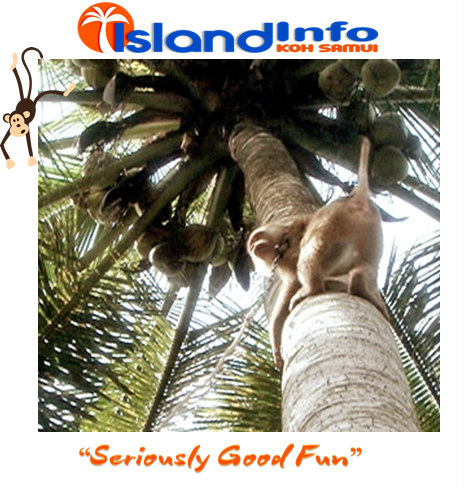 There are not many outdoor places on the Island where you can stand still, rotate 360 degrees and not see a coconut tree. 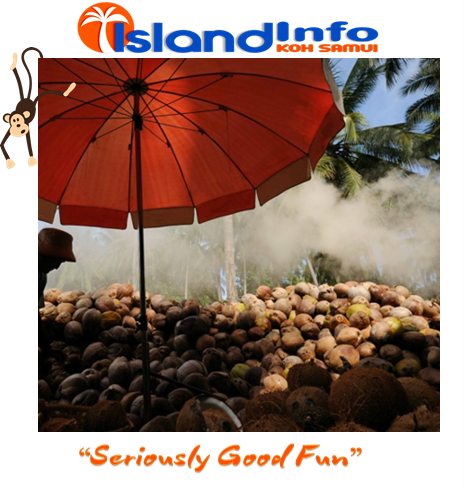 Coconuts and their bi-products until recently were the main source of income for the local community, in recent years the continued growth of the tourist industry has resulted in tourism taking the top position, coconuts and the associated product earnings are still ranked number 2. 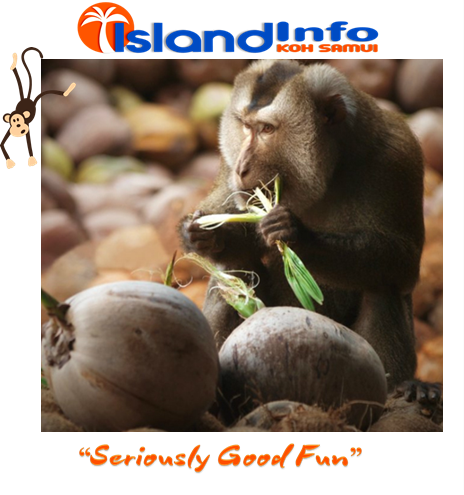 Monkeys have played a big part in the coconut industry, and in Thai culture, for many years. 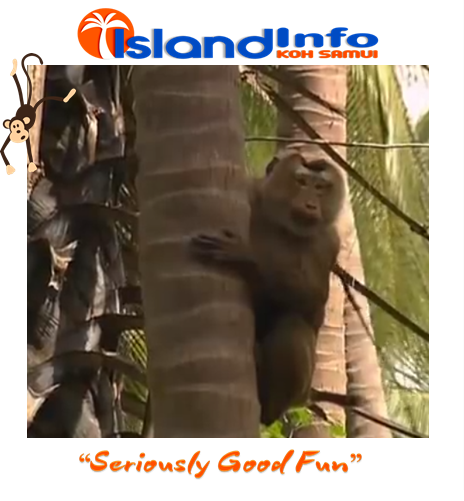 The monkeys can be seen climbing the trees at great speed and flying from tree to tree in their hunt for the ripened coconuts. 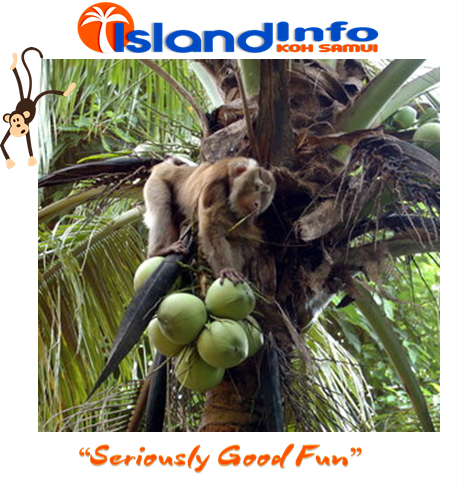 They have been trained to loosen and detach the ripe coconuts from the tree, give a gentle push, then allow gravity do the rest. Their speed at this task is far greater than what us humans can achieve, and far cheaper for the farmer. 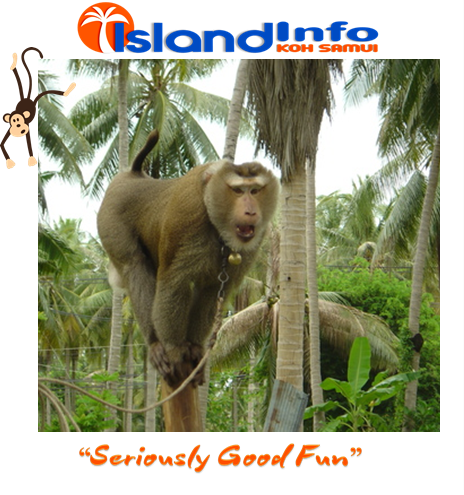 No, we are not about to become the “Planet of the Apes”, there are still many other jobs to be done with the coconuts, most of which are done better by humans, for now. In the future?. 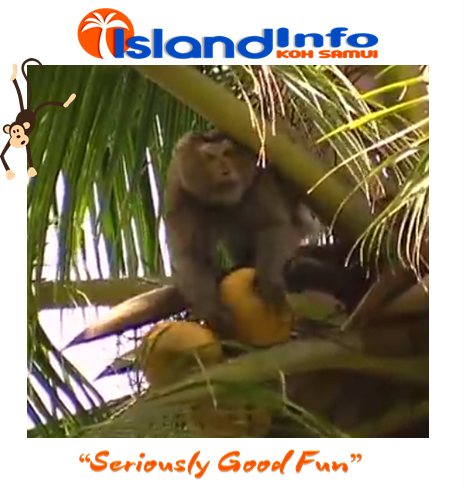 I hope the monkeys are allowed to eat some of the coconuts they harvest!